The Attorney General is asking the legislature for a source of funding to fall back on if a fix to the Second Injury Fund doesn’t become law this years. Missouri Attorney General Chris Koster calls the Second Injury Fund situation an “Illinois-level” issue. Attorney General Chris Koster says a court ruling could come at any time against the Second Injury Fund that could force the state to pay more than $28.1 million in unpaid claims that it doesn’t have the money for. Koster is asking the legislature for the money so that if that happens, attorneys can be paid to defend the state in cases that are still pending. Koster says even if a fix passes the legislature, such as the one the Senate approved last week, it could take 2 to 3 years to pay down the money already owed to claimants and the courts could rule before then. 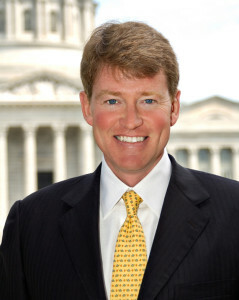 Koster says the Second Injury Fund situation has the potential to leave Missouri in a budget deficit situation like that of Illinois.